Greetings! 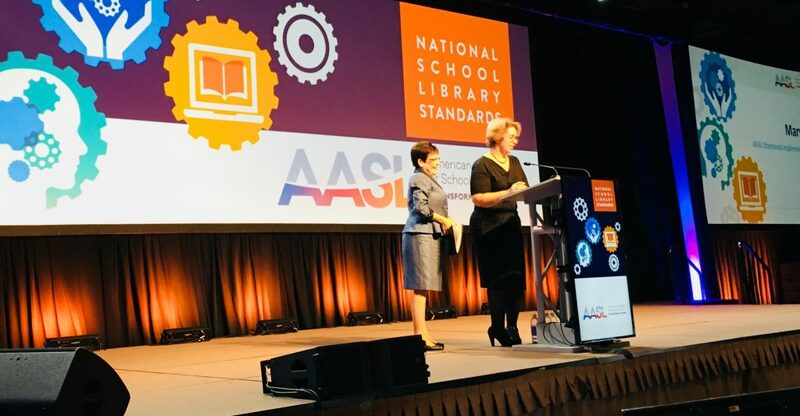 The Friday opening session of the 2017 AASL National Conference, in Phoenix, Arizona, was a formal unveiling and introduction of the new AASL National School Library Standards! I was so honored to be able to sit in on one of the focus groups at the 2015 AASL National Conference in Columbus, Ohio. 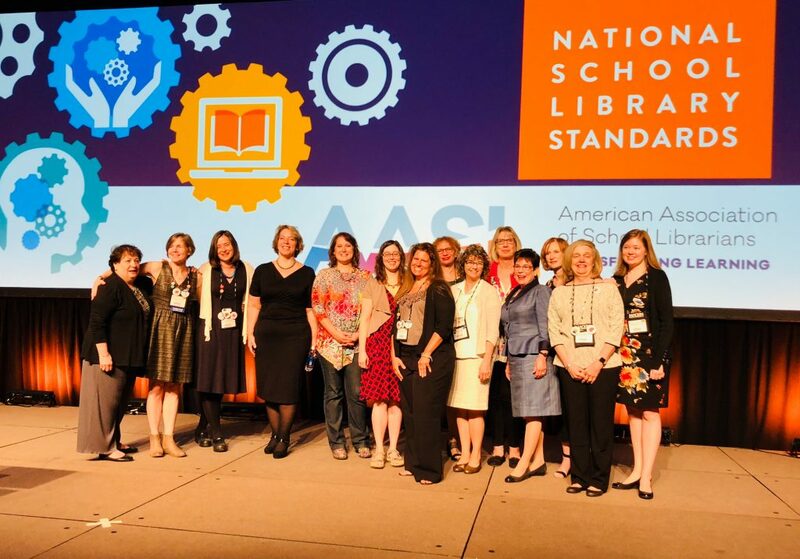 The group that I worked with was so professional and efficient in collecting our insights, experiences, and ideas on what would improve the existing AASL standards. 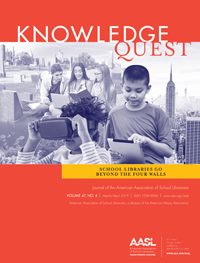 It is awesome to finally see the results of those efforts and the work of the AASL standards editorial board and implementation task force. I loved that this history and preceding work was shared as a part of the presentation. 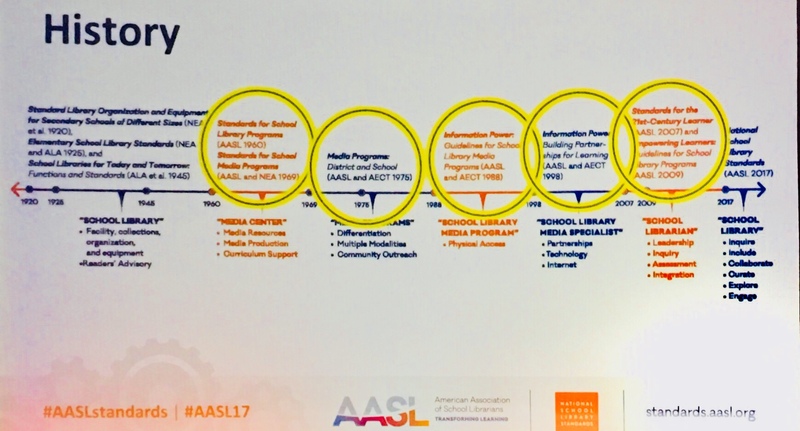 It is proof that AASL and school librarians have not remained static in our roles. 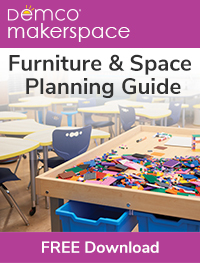 We constantly reflect and adapt to our changing world and changing needs of learners. So too, the documents and standards we depend on as school librarians, evolve right along with us. 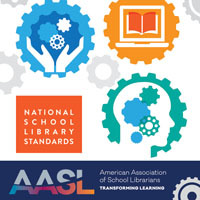 These new standards from AASL are evidence that our profession embraces change. 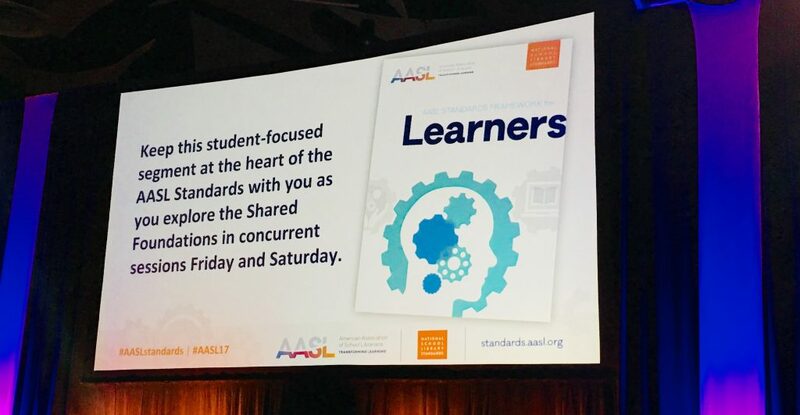 The few days that we spend together at conferences like this one are the perfect opportunity for us to reflect together on our programs, goals, and our students’ needs. Having the new standards so fresh in our minds will helps us focus these reflections on what is most important. Here are just a few of the tweets published as the standards were presented and discussed this morning. 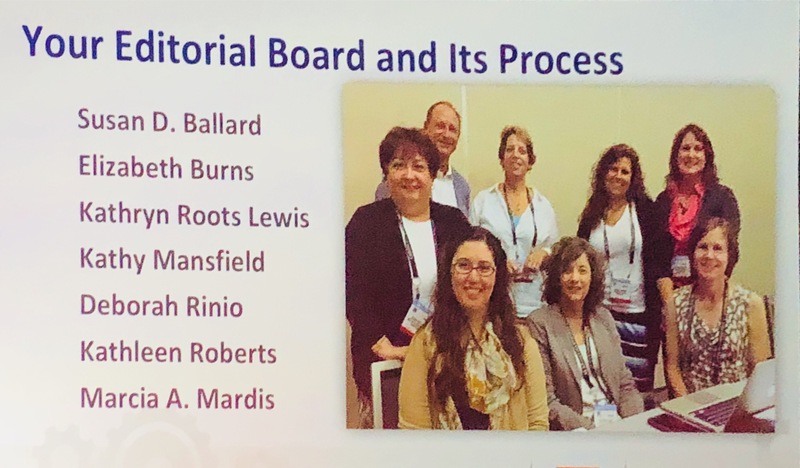 Again, thank you so much to the AASL standards editorial board, implementation task force, AASL board, and AASL staff for their dedication to this endeavor. 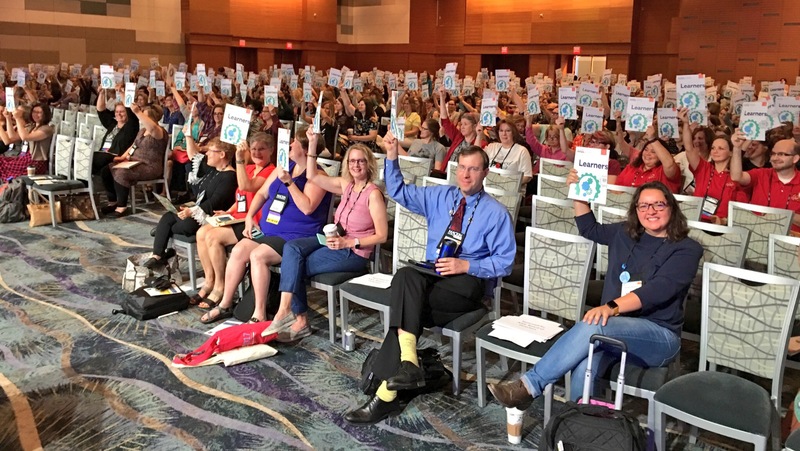 Thousands of school librarians, and ultimately millions of students will benefit from your efforts!